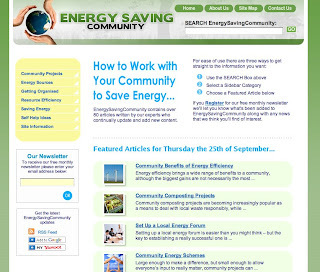 I heard about a website which is focused on providing extensive advice on working as a community to save energy. Energy Saving Community has lots of inspiring ideas—some big, some small. I was immediately interested in the sections on setting up a community swap store (kind of like free consignment, I think) as well as establishing community composting. Excellent ideas to ponder! The site is out of the UK, but I'm sure the ideas would translate well to many regions. See if something would be applicable for your community.